Ever noticed that when you go looking for ways to get more clients into your bootcamps, you tend to hear about the same advertising strategies over and over? You hear about placing ads, distributing flyers and all the other advertising strategies that everyone else is using. The reason you keep hearing about these same strategies is because they work. 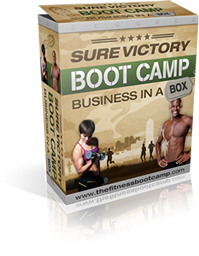 However, a lot of your competing boot camp owners use these strategies too. And that means it gets harder and harder for your boot camp to stand out among all the noise. People who like to challenge themselves tend to be boot camp clients. And that’s why we ran a six-week body transformation program that we called the Triple 8 Body Burn. People who participated in the program got to see first-hand that our body transformation strategies work well, which is why they then signed up for the boot camp. There are a few different ways you can set up your own lead-generating transformation program. We did it simply by selling a product called the Triple 8 Body Burn. We also posted day-by-day challenge videos on YouTube and other social media to attract new prospective campers. Another way to challenge people and generate leads is by running challenges on your Facebook pages. We did this using squat challenges, jumping jack challenges and similar activities. Not only did it engage our current fan base, but we saw a viral effect kick in as our fans told their users about the challenge. Another thing we did that worked well is that we brought in different instructors, such as Tai Chi and yoga instructors. This was a great joint venture, because these new instructors introduced their clients to us, so we enjoyed new campers joining our program. When you walk into a fudge shop, what do you see? That’s right, you see a sign offering free samples. That’s because the shop owner knows that once people find out for themselves just how good the fudge is, they’ll buy a box of it to take home. You can take this same principle and apply it to your boot camp business. Simply set up one session every month or two where you offer a free class. Let’s prospective campers come in and sample your boot camp for themselves. Get them excited about it. Motivate them. And then watch their enthusiasm spill over as they sign up for your paid classes. 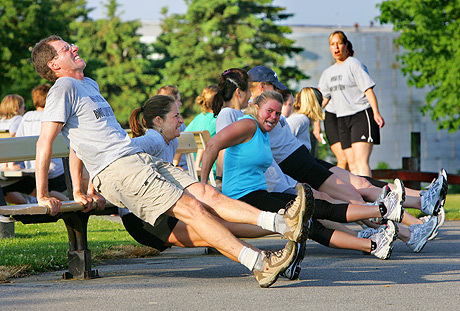 Yet another way to generate leads for your boot camps is by giving a free fitness talk at a relevant event. For example, if you offer boot camps for brides, then you might give a free talk about losing weight quickly, safely and easily to before the big day. This talk of course would include a pitch at the end to get listeners to join your boot camp. Traditional advertising still works. However, engaging and challenging your prospective campers directly often works even better. It lets you stand out from your competitors while offering something of value to your prospects. And that means these strategies tend to generate some of the best leads. But don’t take my word for it – try them out to see for yourself!